When you think of pollution, tailpipes and smokestacks are probably what come to mind — not your office. But our offices are filled with noxious substances that can be harmful to your health. Given the fact that we spend from 65 to 90 percent of our time inside, according to the Washington Department of Health, it’s important to keep indoor air clean. 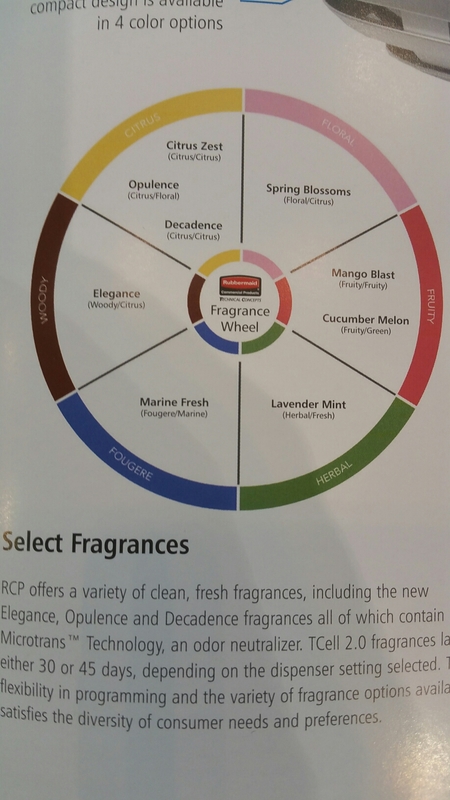 “Most of the things that cause problems are odorless.” Dr. Nicholas Busba. “So, in many cases there’s nothing to alert you to the problem.” That is theres nothing other than the symptoms thease allergens can trigger. Such as respritory problems (including asthma flare ups) and fatigue. Here are some tips to keep you office air fresh and healthy. Keep it clean- Good indoor hygine can greatly cut down on dust mites, germs and mold. Vacuum all floors daily wth hepa filter vacuums. Invest in a good floor matting system. This traps dirt in the mat instead of making it airbourne. Have a good carpet cleaning routine in place. Use eco-friendly cleaning products whenever possible. Invest in an air purifier. Cutting out smoking – over 4000 chemicals are in cigarette smoke. Monitor humidity – it should be between 30-50%. Keep some greenery indoors. Many plants scrub you air. Keep air ducts free from dust and dirt. 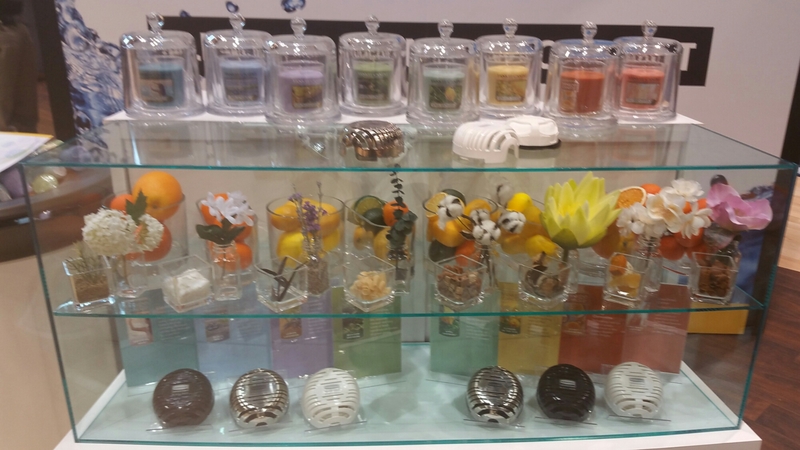 Here is some new scents from rubermaid for bathrooms and large spaces . Rubbermaid is teaming up with Yankee Candle. 94% of people would avoid a business if they encounter a dirty bathroom. Hi everyone, Hope you are all having great day. I am pleased to announce Carter Cleaning Company got our first battery backpack vacuum. Yay! We have been wanting to get one for years and finally it has arrived. The benefits to our clients and employees are vast. Here is an article I found that highlights some of the benefits. Thank you for all your support clients, employees, friends and family. We are looking forward to continuing to serve you. Everything is cordless today. From phones to computers, it’s convenient to be untethered. The same is true when vacuuming. Battery-powered backpack models eliminate wasted time searching for outlets, create a safer environment without cords to trip over and easily clean hard-to-reach places, such as elevators and stairwells. For years vacuum manufacturers hesitated to bring battery-powered backpacks to the market, waiting instead for batteries to become lighter and have longer run times. 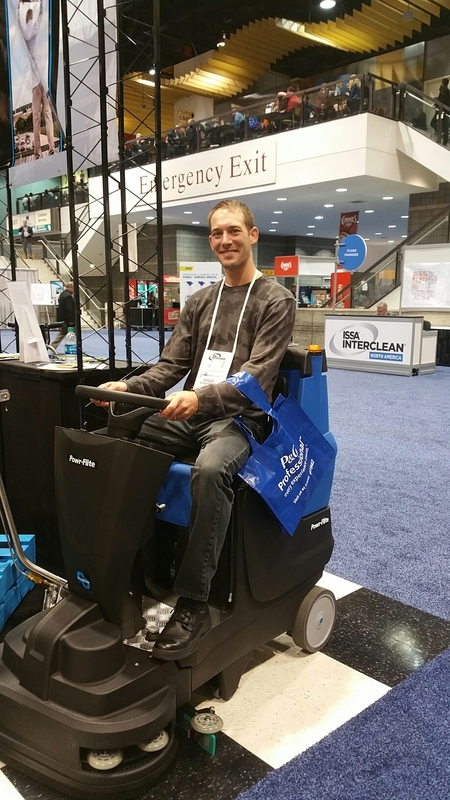 Now, technology has caught up to demand and building service contractors and in-house custodial departments are discovering the advantages of this equipment firsthand. Here, three end users explain what factors are driving them to buy battery-powered backpack vacuums. Jan/san distributors can use these case studies to help educate their customers on the benefits of battery backpack equipment. When two young men founded Southeastern Janitorial, a BSC in Charleston, South Carolina, less than three years ago, they knew emerging technology was key to their success. From their active social media presence, to streamlining online work order systems and cordless vacuums, they embrace technology and the benefits it brings both to their clients and to their business. “There’s a lot of competition out there and anything that makes us look better than the next is something we want to do,” says Brandon Schneider, who along with Chris Abel co-founded the company. Schneider says some janitorial companies hesitate to invest in equipment, but Southeastern tries to put the best tools in its employees’ hands. A couple of years ago, Schneider says backpacks were a “wow factor,” but recently many cleaning companies, especially larger ones, have switched to the machines. Southeastern finds the backpacks are more efficient than uprights because they’re easier to handle in tight areas such as under desks, around chair legs and in stairwells. Now, the leading technology is battery backpacks. Schneider says rechargeable vacuums save time and, therefore, money. “It saves us about 45 minutes to an hour of vacuuming time per 100,000 square feet,” says Schneider. While more expensive than traditional backpack vacuums, battery models can pay for themselves in seven to eight months because of the significant labor savings, says Schneider. In a few short years, Southeastern has grown into four states — South Carolina, North Carolina, Mississippi, and Louisiana — and now cleans approximately 7 million square feet on a nightly basis. The majority of their business is in commercial and medical office buildings, as well as arenas and industrial spaces. “We have structured the company for growth and are really starting to concentrate on expanding our markets this year,” says Schneider, who adds one ingredient to that growth is using backpack vacuums. In the future, Schneider believes backpack vacuums will weigh less and carry extended battery-life, further enhancing the company’s productivity.